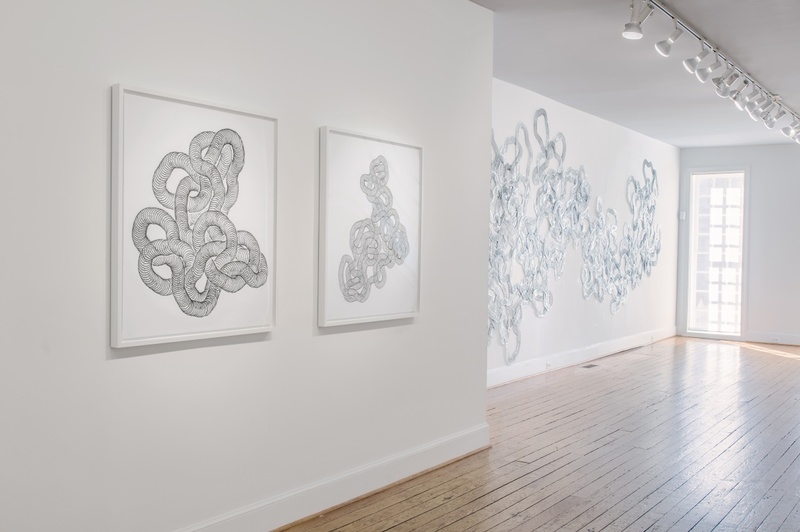 Exploring the malleability and reconstruction of quotidian materials, Tara Donovan transforms familiar objects into transformative sculptures. 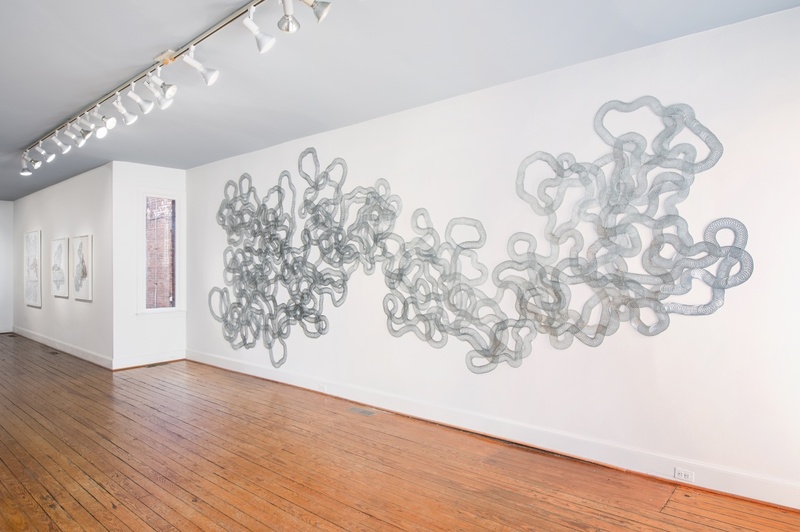 In earlier work, she exhibited large-scale installations of Styrofoam cups and a floorscape composed of thousands of trimmed No.2 pencils, both pointing out the aesthetic qualities of everyday materials through intense manipulation. 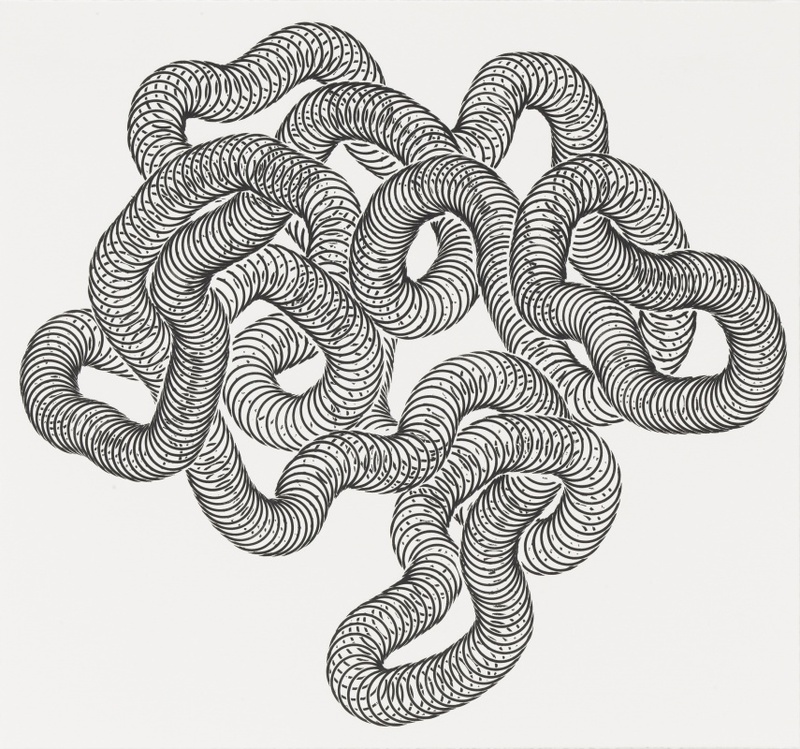 In her recent Slinkys series, she produces lyrical, coil-like prints of Slinkys. 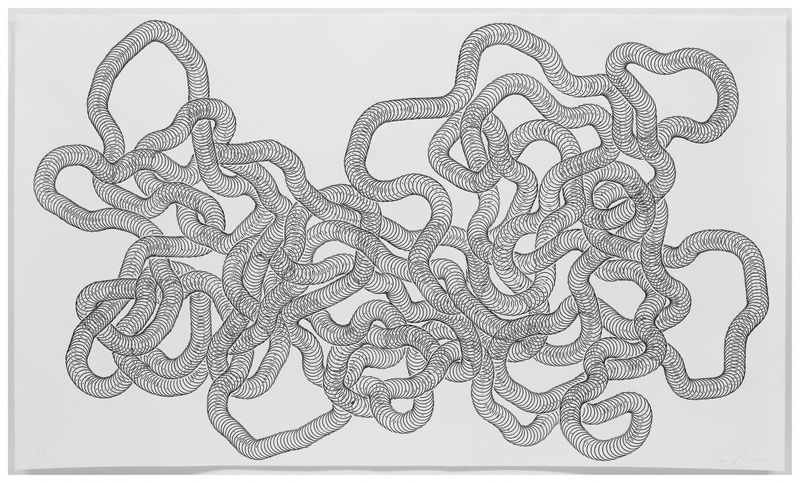 The prints evoke meandering road maps to nowhere, both restrained and full of looping action. 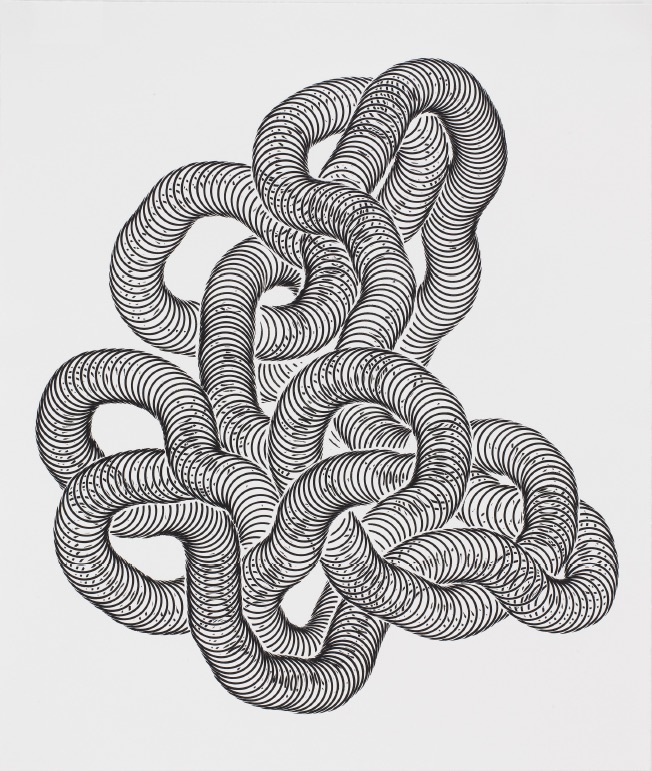 Obsessive, repetitive patterning imprints an imposing quality within Donovan’s work—yet the constantly visible trace of her hand imparts an addictive tenderness. Born in 1969, Donovan graduated from the Corcoran College of Art and Design with a Bachelor of Fine Arts and Virginia Commonwealth University with an Master of Fine Arts in Sculpture (1991, 1999). Her work has been exhibited at The Metropolitan Museum of Art, Pace Gallery, both, New York, NY; Hammer Museum, Los Angeles, CA; Museum of Contemporary Art San Diego, CA; and The Louisiana Museum of Modern Art, Humlebaek, Denmark. Her work is in the permanent collections of the Whitney Museum of American Art, Brooklyn Museum of Art, The Metropolitan Museum of Art, all, New York, NY; The Institute of Contemporary Art, Boston, MA; Dallas Museum of Art, Dallas, Texas; Maier Museum of Art, Lynchburg, Virginia; and The Museum of Contemporary Art, Los Angeles and San Diego, CA, among others. She has received major accolades including the MacArthur Foundation “Genius” Award (2008) and the first annual Calder Prize (2005). She currently lives and works in Brooklyn, NY.